Once you get the landscape of your dreams designed and built by our expert team, you need professional services to upkeep it! Here at Lawrence Landscape, we have the tools and expertise you need to keep your Kansas lawn looking beautiful all year long. With over three decades of experience, we know what it takes to maintain a lawn. We can design a maintenance plan that is totally custom to your lawn, ensuring it looks just as beautiful as it did the day it was planted. Don’t trust your lawn care to anyone else. For the best lawn care maintenance in Lawrence, contact us online! We care for the yards of single-family homes, homeowners’ associations, and commercial and industrial properties. Lawrence Landscape truly cares about each property we manage, providing only the best products and tools in order to get the job done. When you need lawn care for your Lawrence, Kansas home, don’t call anyone else! Contact us today to schedule your lawn service. Do you know when to prune early-blooming shrubs like lilacs, viburnums, and forsythia, so you don’t miss a season of flowering? Are your shrubs trying to take over your house? Can’t see out your windows because the bushes block your view? Lawrence Landscape can solve these problems, as well as top-dress mulch, redefine bed edges, and apply weed prevention methods. In Kansas, we get to enjoy all four seasons, which often leaves us with a messy aftermath as the seasons’ change. Let Lawrence Landscape take care of your spring and fall clean-up needs! We will blow the leaves out of the beds for quick, easy removal. We’ll cut back perennials, do structural pruning on your shrubs, redefine bed edges, apply weed prevention, and top-dress your mulch beds. Think of it as a preparation for renewing your landscape! Once we’re done, your lawn will look refreshed and ready for the upcoming season! 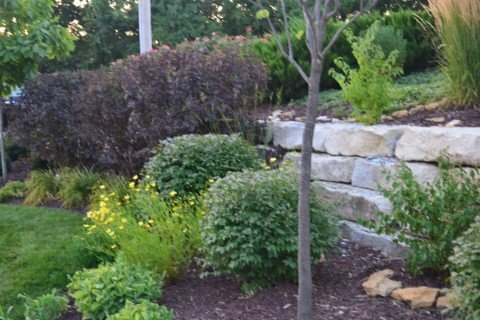 Schedule your professional pruning, trimming, or general landscape service in Lawrence today! Contact us online to speak with one of our lawn care professionals. 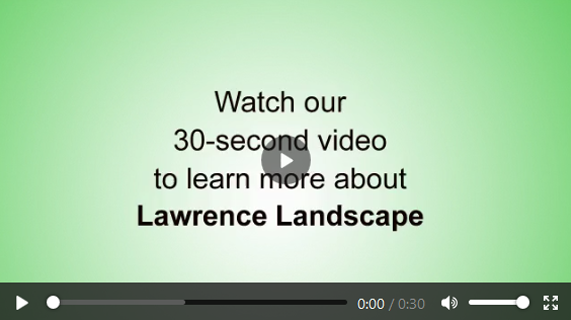 Lawrence Landscape offers comprehensive annual maintenance contracts for all your lawn and landscape needs. Imagine having your outside services on autopilot—it’s that convenient! You have nothing to worry about—it’s like having a personalized HOA! 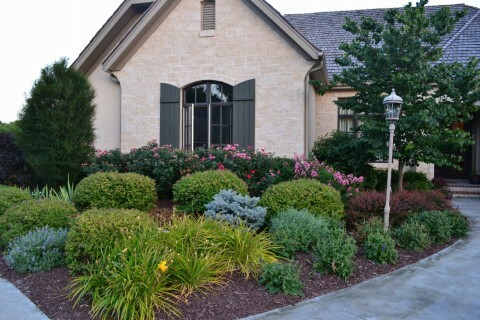 Lawrence Landscape provides all season service in a single monthly payment. Contact us online to sign up for lawn care services in the Lawrence area and learn how we can improve your Eastern Kansas lawn!